There is no such thing as a true native squirrel to this country. Both the Grey and the Red squirrels were introduced by humans to the United Kingdom. The Grey is not the true culprit of the decline in the Red squirrel. Red squirrels have struggled to survive for hundreds of years even before the Grey squirrels were introduced. 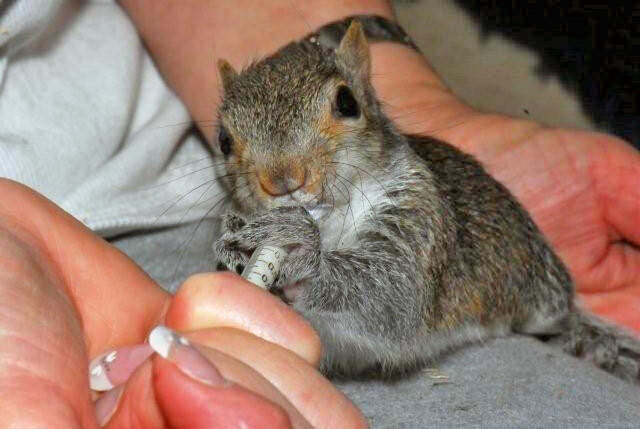 They were fighting disease well before the Grey squirrel could be blamed for introducing it. Both the Red and Grey squirrels have been hunted mercilessly by gamekeepers and foresters. Both the Red and Grey squirrel will strip bark in the early summer and will occasionally take the odd egg or chick for food. Up until the 1920s Red squirrels were officially hunted and killed in large numbers in the New Forest. One "squirrel club" in Scotland killed over 80,000 between 1900 and 1930. People experience problems with squirrels when they gain access to lofts where they can damage cables and wooden beams. Some people complain about squirrels raiding bird feeders and tables.